We’ve mentioned previously how the typical process for onboarding a new supplier to your systems can take weeks, if not a few months, for some retailers. Though it simply sounds like a long, annoying process, it’s a bigger issue than that. A months-long vendor onboarding process can cost you a lot of money in lost sales opportunities and even actual hard costs. You can get an idea of how much this will cost you just by looking at your predicted sales. 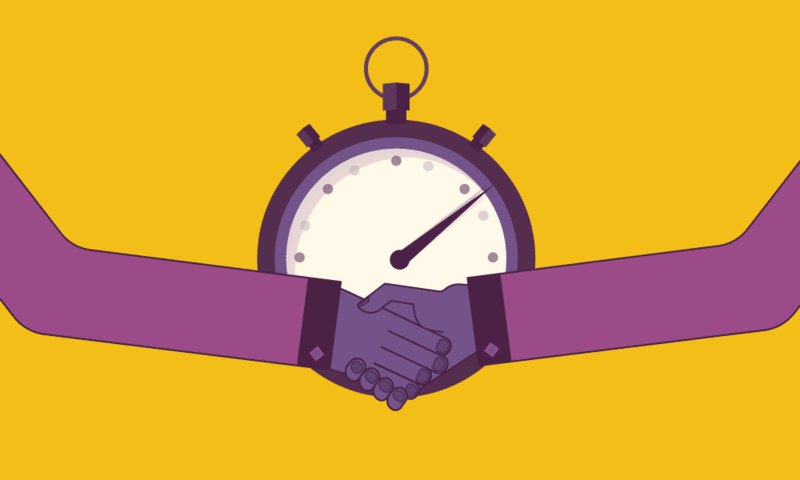 Now, subtract the length of time of the proposed onboarding process. How much product could you have sold in two months? Three months? Six months? What risk are you incurring of not being first to market? That is the actual financial loss to you when onboarding time drags on. Our own data shows that during vendor onboarding, it takes an average of 13 communications from a retailer to a supplier just to get them to pay attention, let alone follow through with their end of the process. If that’s just one supplier, multiply that across the number of suppliers you onboard each year, and you get an idea of how expensive and widespread these delays become. But what if you could shorten that amount to just a few days? Those lost opportunities become actual sales. What could have been hundreds of thousands of dollars lost is now hundreds of thousands of dollars in revenue. Shop.com used SPS Commerce to help recruit and operationalize several drop ship-capable suppliers. A Forrester Research study found that this effort was worth $1.5 million over three years. What would have been lost if that supplier onboarding process had taken six months? How many opportunities would they have missed out on? Not only are you losing out on revenue, but think about all the programming costs you’ll pay for someone to take anywhere from six weeks to six months to connect your retailer database to a supplier’s database (or vice versa). If you’re paying a programmer to handle this for you, and it takes them several months to do the onboarding, how much is this actually costing you in terms of salary and overhead? These are actual hard costs for vendor onboarding. Anything you would have sold once you’ve operationalized is offset by all the money you spent to get to this point. So, your profitability is delayed even further until you’ve recovered those initial costs. This is where SPS Commerce can make a big difference. We’re able to quickly help retailers find suppliers who have the products they need, the delivery capabilities they require, and the ability to plug into their EDI system in a few days, not a few months. This means you’ll be making money almost immediately, not weeks and months later. Faster supplier onboarding also means you can pick up new trends and hot new products almost immediately. If you heard about the big new toy or amazing new technology that everyone suddenly started raving about in October, you could onboard the supplier in a few days and still take advantage of the fast-growing trend in time for the upcoming holiday season, instead of sitting helplessly as the rest of your competitors rake in the sales. With our time-tested system, SPS has served thousands of retailers and suppliers around the world. And we can do all of the onboarding on your behalf. Now, instead of 13 phone calls or 13 emails, just send the supplier to SPS and we take care of the rest. Once the supplier is properly connected and plugged into your ERP system, there’s the additional matter of getting their item data to match up with your own system and keeping it straight. We can help with that too. 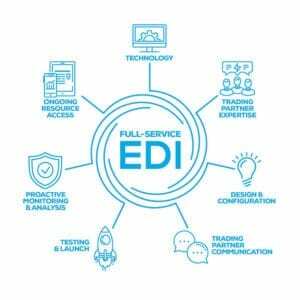 Our EDI system serves as a “universal translator” between suppliers’ data and their various formats, and the retailers’ ERP systems and all of their formats. We get everything to match up so you can start exchanging product data, purchase orders, and all the documentation associated with a transaction. To learn more, visit the SPS website and start learning about how you can find, onboard, and start ordering from your new suppliers within a few days of actually finding them in our Retail Network. You can also ask to receive a free demonstration or speak to one of our onboarding experts. Rebecca Northrup is senior manager of program management for SPS Commerce. In this role she oversees the company’s lead generation for enablement. Previously, she served as a program manager for the company. Prior to joining SPS Commerce, she ran the marketing at mSpace and before that worked on the buying team at Macy’s. She has a degree from St. Thomas University.